It’s a wrap in the Pacific Palisades, where actor Dennis Quaid has unloaded his Spanish retreat for $5.9 million. That’s down around $600,000 from the price he sought last summer, records show. But Quaid, who starred in “The Parent Trap” and “The Rookie,” is walking away with a nice little profit. According to the Multiple Listing Service, he paid $5.1 million for the property six years ago. 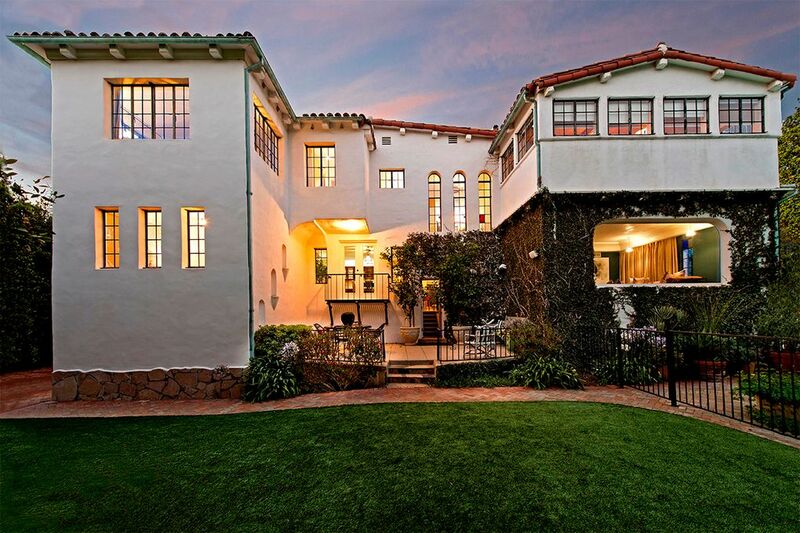 Built in 1929, the home has stayed in touch with its architectural roots, offering leaded glass windows, an ivy-draped façade and plenty of wood and tile finishes. Common spaces include a living room under vaulted ceilings, a formal dining room, an eat-in kitchen and a dramatic rounded office. The movie theater, lined with parquet floors, takes in leafy views through a picture window. Six bedrooms and 7.5 bathrooms round out the 6,100-square-foot interior, including a master suite with a spacious sitting area. Out back, palm trees and verdant landscaping surround a brick patio and a swimming pool with a diving board. Chris Hicks of the Agency represented both ends of the deal. In 2013, he sold his other place in the Palisades for $3.315 million.